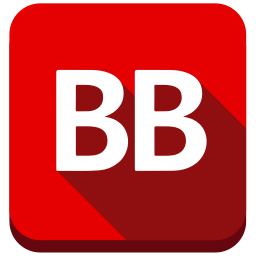 Special Guest - Ali Brandon - Author of Plot Boiler - #Giveaway too! Special Guest – Ali Brandon – Author of Plot Boiler – #Giveaway too! I am so happy to welcome Ali Brandon here today!! 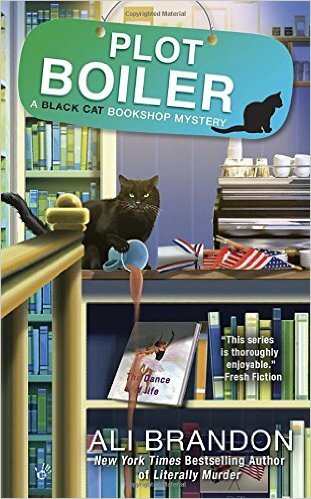 As author of the Black Cat Bookshop Mystery series from Berkley Prime Crime, I definitely qualify as a cozy mystery author. We’re talking a sleuthing cat, a quirky independent bookstore, and an earnest female protagonist: the cozy mystery trifecta! But, popular as the sub-genre is, cozy mysteries don’t always get the respect they should. Naysayers—often found among the ranks of the hard-boiled mystery and thriller authors—claim that we wrap crime in pretty scrapbooking paper, that we trivialize murder. I say that the “nays” have it wrong. Take a look at any cozy mystery, and you will see right away that the book focuses on characters and community. The murder may take place offstage—and sometimes, with an offbeat weapon—but the cozy mystery victim is rarely dismissed as simply another corpse. We show the human side of violent death, and how the victim’s passing affects the characters around them. That’s something that is often glossed over by the “crazy” writers, i.e. the thriller and hardboiled authors. Thriller/hardboiled victims are often identified only by their physical characteristics. In many instances, they’re called up out of central casting and barely rate a first name, let alone a personal history. They are there to be murdered and help move along the story action. Their onstage and often gruesome end usually generates only a reflexive, visceral reaction on the part of both the protagonist and the reader. But in a cozy mystery, our amateur sleuth inevitably knows the victim personally, and she is affected in one way or another by that person’s passing. The cozy mystery murder victim has a name, a face, an occupation. He or she is not just next in line on a serial killer’s hit list. And readers are affected, too. They’ve often had a few chapters—maybe even previous books in the series—to get to know the victim. It can be a sad moment, indeed, when that character meets his or her literary end. 10) Cat hair is an expected addition to your professional wardrobe. 9) Your readers mail you cute stuffed animals in little gift bags, not bloody body parts wrapped in butcher paper. 8) Your Google searches don’t automatically trigger visits from the FBI/CIA/NSA. 7) You can actually smile in your author photo. 6) Your readers write you and make suggestions about your next book in the series. 5) Your book covers have cats on them…even if your mystery doesn’t have any cats in it. 4) You get to include recipes and craft tips in your books if you want to. 3) You can wear cute cat ears at writers’ conferences if you feel like it…and no one thinks you’re crazy. 2) Readers actually cry when YOUR characters get murdered. 1) Your spouse doesn’t constantly have people whispering to him that if he ever goes missing, they’ll be sure to give the police YOUR name. Ali Brandon is the New York Times bestselling author of the Black Cat Bookshop Mystery series from Berkley Prime Crime. Writing under her real name, Diane A.S. Stuckart , she penned the popular Leonardo da Vinci historical mystery series , which received starred reviews from Publishers Weekly and Library Journal, as well as a Florida Book Award. 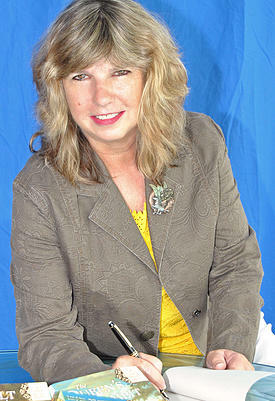 A native Texan with a degree in Journalism from the University of Oklahoma, Diane a/k/a Ali now lives in South Florida. In addition to her husband and four dogs, she shares her home with two orange tabby boys, Butch and Sundance, and Brandon Bobtail and Ophelia, black cat brother and sister. It’s almost Fourth of July, and to boost customer traffic in their Brooklyn neighborhood, bookseller Darla Pettistone decides to throw a block party. All the local shop owners are thrilled—except the proprietor of Perky’s Coffee Shop, who thinks Darla is trying to poach his customers by selling her own caffeinated brew in her new bookshop café. Leave a comment for Ali for 5 Bonus Entries. Cute post and sounds like a fun read. I loved the top ten reasons as to why it’s better to be a cozy mystery writer! Plot Boiler sounds like a great book. Thank you for the giveaway. I love this series and I love Hamlet. Looking forward to Plot Boiler.Thanks for the chance to win. Love the list and love cozies. I love your series and have my own black cat. Thanks for a chance to win your latest. Can’t wait to read the new boo in this series. Ali, love your 10 reasons list! Great feature and giveaway wonderful reasons for being a cozy author. What fun reasons to be a cozy writer! Great review, and another great read added to my “must read” list! When I grow up, I wish I could be a “cozy” writer! I like that this book is based on character and community. I’d love to read more about Hamlet and his activities. Always up for a good cozy. I enjoyed reading this. Ali Brandon is a new author for me … thank you for introducing her to me. Great post. I also think cozy mysteries don’t get the respect they deserve. Your series on the TBR list after it was recommended by someone on Goodreads. Looking forward to starting it. Cozy mysteries are great for enjoyment reading. All excellent reasons to be cozy, especially with cats. Cats are the best reason for cozies—they make the books complete. You absolutely had me chuckling through the lines of your post. When I got to the list, I was laughing out-loud. It is true, which makes it hilarious to read. I am putting your books on my to-read list right after I finish writing this! Review/ #Giveaway – Smart, But Dead b y Nancy G. West Great Escapes Book Tour City of Gold by Carolyn Arnold – Great Escapes Book Blast!